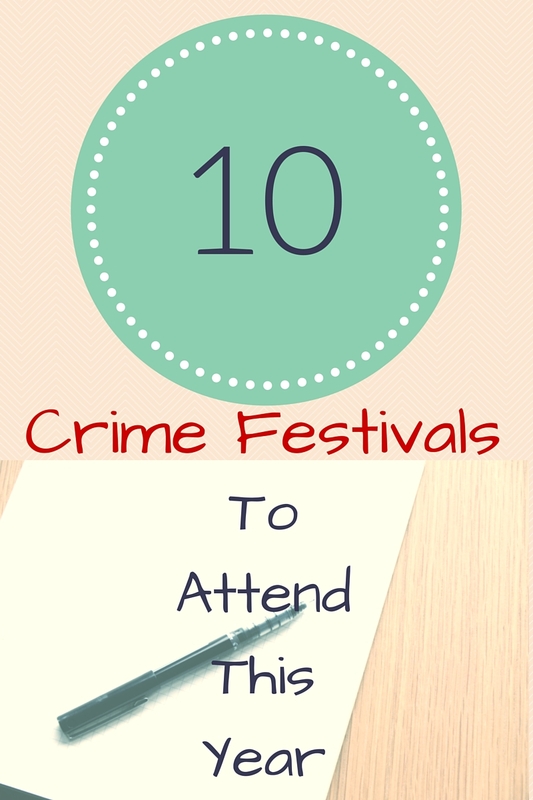 A new year has started and if you are a crime fiction fan it’s an opportunity to look ahead and plan your festival calendar. There are so many more than there used to be, we are spoiled for choice. Here we have a mix of old and popular ones, and new festivals that you may not have realised are there and now may be interested in visiting. I’ve listed them in order of their availability. Links to websites are the green bold festival names. Deal Noir. Taking place at The Landmark Centre, Deal on Saturday 2nd April 2016. A one-day convention featuring best-selling authors speaking on crime fiction in all its forms from dark psychological thrillers through police procedurals to light-hearted romps. Newcastle Noir. Taking Place at the Lit and Phil Independent Library, Newcastle on Saturday 30th April and Sunday 1st May. Newcastle Noir is a festival dedicated to promoting crime fiction under all its guises from all over the world. Crimefest. Taking place at the Marriot hotel, Bristol on 19 – 22nd May. Crimefest is a convention for people who like to read an occasional crime novel as well as for die-hard fanatics. Crime Story. Taking place at Northumbria University on Saturday 11th June. The festival for crime fiction writers and readers offers a unique insight into real-life criminal investigation.With 20 experts in policing, forensic science, law, criminology, mental health, prisons, and more, we’ll guide you through the criminal investigation process, so that it can inform and inspire your crime writing and reading. Thrillerfest. Taking place at the Grand Hyatt, New York City on 5-9th July. Thrillerfest is for thriller enthusiasts, bringing together famous authors and new ones along with industry professionals, agents, and fans. Theakston’s Crime Writing Festival. Taking place at The Swan hotel, Harrogate on 21 – 24th July. It’s known as the friendliest festival with its feet firmly on Yorkshire ground, the Theakstons Old Peculier Crime Writing Festival guarantees thrills, and a few spills at the hotel bar, as thousands descend for one, long summer weekend. BritCrime. Taking place online. TBC during the summer. 46 British mystery and thriller writers – and one American – who live in the UK. Becoming friends after seeing each other at book launches, library talks, literary festivals and crime writing conventions here and abroad. Britcrime authors love meeting readers and set up BritCrime to give readers an opportunity to meet them at online events that are free and accessible to everyone. Bloody Scotland. Taking place in Stirling on 9 – 11th September. For fans of National and International crime with special events set up to celebrate Edinburgh and Glasgow as crime fiction settings. Iceland Noir. Taking place in Reykjavik on 17 – 20th November. Iceland Noir was born in 2013 over a curry in one of Reykjavík’s finer Indian restaurants. Yrsa Sigurðardóttir, Ragnar Jónasson and Quentin Bates were idly wondering why Iceland had never had its own crime fiction festival. The idea gelled and Iceland Noir was born. I’m going to be attending some of these, so if you see me about, feel free to say hello. I’d love to chat! Which ones will you be at, or which ones would you like to be at, if you could? Well, since you mention Bouchercon and Iceland, I might as well suggest Quais du Polar in Lyon. It’s all free, as long as you fly to Lyon or Geneva and stay at a hotel in Lyon. No hardship, since it’s a beautiful city! This year it’s on 1-3 April, so it may be a bit late to book now, but perhaps next year? It didn’t come up when I was searching, but I’ll make a note of it for a similar list I’ll now create for next year. Thanks Marina. It does sound like one to put on the map more! That’s a lot. Only one here, but it’s a big one. Boucheron? I hope to make it there one year. What a great list of upcoming events, Rebecca! So much to choose from, isn’t there? Thanks for putting this together. I will be at Harrogate for this first time this year and am very excited!! You’ll love it. I still remember my first Harrogate festival. It’s great meeting people in person and not just online. Have a fab time. I hope you get there one year, Jacqui. This is so very useful – I had hoped to get to one this year but I need to pick one relatively close to an airport… will ponder as the one I like the sound of most is Theakstons as I’m always so jealous when I hear how much fun everyone has had there. Theakston’s really is a friendly one. I have gone back to it every year since the first one I attend just because of the friendly atmosphere of it. I do hope you can get to one one year. I shall be tweeting my way through the festivals I attend as well as blogging about them so you’ll get a flavour even if you don’t manage to go. Hopefully you will get there one day. You are, aren’t you! I’ll see you at Crimefest, Harrogate, Bloody Scotland and Iceland. I’m doing my fair share this year whereas I usually only do one. I’d also like to go to Thrillerfest but like you, I hope to be at Bloody Scotland so I’ll see you there! See you at Crime Fest in Bristol!